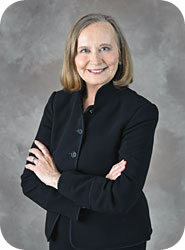 Natalie B. Choate is America’s leading speaker on estate and distribution planning for retirement benefits. She has taught hundreds of seminars to both professional and nonprofessional audiences who want to get the most out of their IRAs, 401(k)s and other retirement plans. She has spoken in 49 of the 50 states (sorry, Montana! ), Canada, and Puerto Rico. She can bring her dynamic speaking style and peerless expertise to your group.